← Not DEVO…But An Incredible Simulation! It was the title track to the third album by the plucky pop parodist and when the video was released to MTV, it caused a commotion amongst my DEVO-loving friends. Al’s brilliant pastiche hit more DEVO visual and musical tropes than one could shake a stick at [whatever that means…]. The song was only released as a single from the “Transformers: The Movie” soundtrack, but it came into being when the home video “The Compleat Al” was released and Al’s management cannily rolled the album’s video production budget into the budget for the home video; a comfy $250,000 which allowed for lotsa laffs to be crammed into that project. 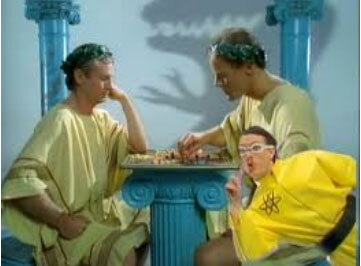 The clip was jam-packed with visual and musical references to the complete body of work of DEVO. 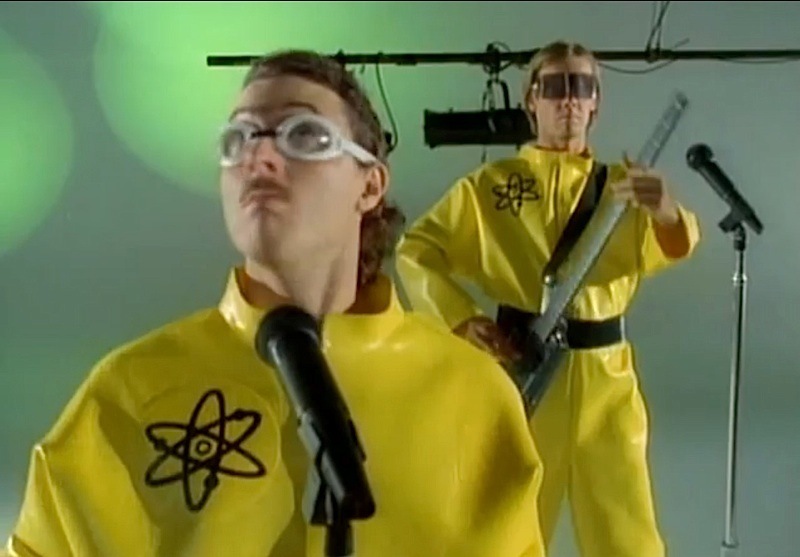 Al’s band were garbed in the classic yellow hazmat suits favored by The Spuds with atomic symbols on their chests which were remarkably close to the “Duty Now For The Future” logos. Al’s delivery was right in the pocket where Mark Mothersbaugh’s enervated delivery also resided. referenced dancer Spazz Attack’s infamous backflips from the “Satisfaction” video. They even worked in a J.R. “Bob” Dobbs-like character. The end result was DEVO distilled. More DEVO than DEVO. 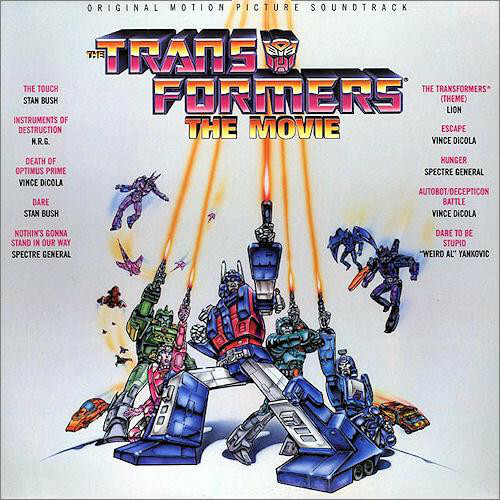 Amazingly, thought the clip from “The Compleat Al” was released to MTV, the record did not follow until “Transformers: The Movie” was released. This was the 1986 feature-length animated version of the familiar 80s kid’s cartoon, not the obnoxious Michael Bay CGI-abuse film series of the 21st century. The theme song was some thing called “The Touch” by Stan Bush. Ignominy of ignominies; the B-side to this disc was “Dare To Be Stupid” by our hero. At least youth of the 80s may have gotten their first exposure to “Weird Al” Yankovic while watching a cartoon [featuring Orson Welles’ last performance – recorded five days before his death, by the way] about giant robots beating each other into pulp. For this we must express thanks. I express thanks because on Saturday, September 10th, I went to see “Weird Al” Yankovic perform a concert in my city and he gifted me with a performance of “Dare To Be Stupid” where the band performed in full DEVO-esque regalia. I may never see the actual band of Spuds perform, but I saw “Weird Al” Yankovic distill DEVO‘s essence into a perfect four minutes. 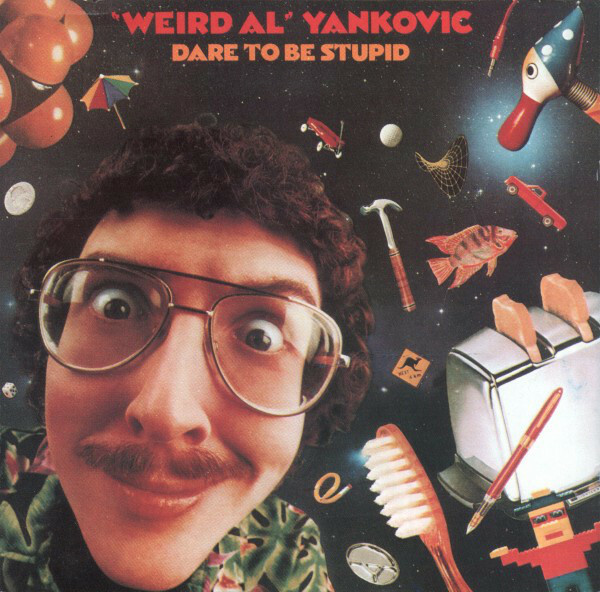 This entry was posted in Uncategorized and tagged "Weird Al" Yankovic, 1985, DEVO. Bookmark the permalink. Yeah! Showing the love for Weird Al. This post gave me a big smile. holy cow, that really was so Devo! never heard that song before (I know very little Weird Al, tbh), but that sure hit the target. Taffy – Surely you jest…??!! I’m not a Google booster so I didn’t embed the actual music video, but seek out the AMAZING clip. I’m sure it’s out there. Prepare to be amazed. Wow – I never knew Al parodied the spud boys… and brilliantly, as you observed. I’m a little envious that you saw him live – the guy is a genius who has never really received the credit he deserves. We are all Devo, indeed! Shelf – Wow! 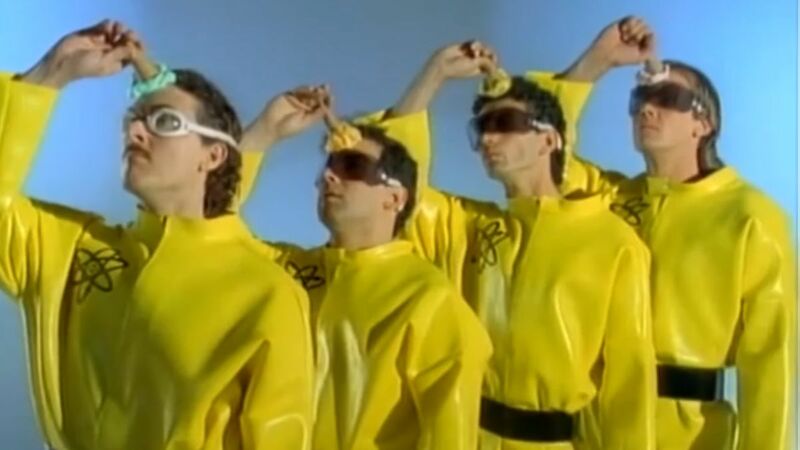 I’m amazed that there are still some that don’t know that Al did a homage to DEVO over 30 ago. It was the first stylistic piece I heard from Al, who normally had straight song parodies.